Are Joseph Smith’s Plagiarized Prophecies Inspired of God? 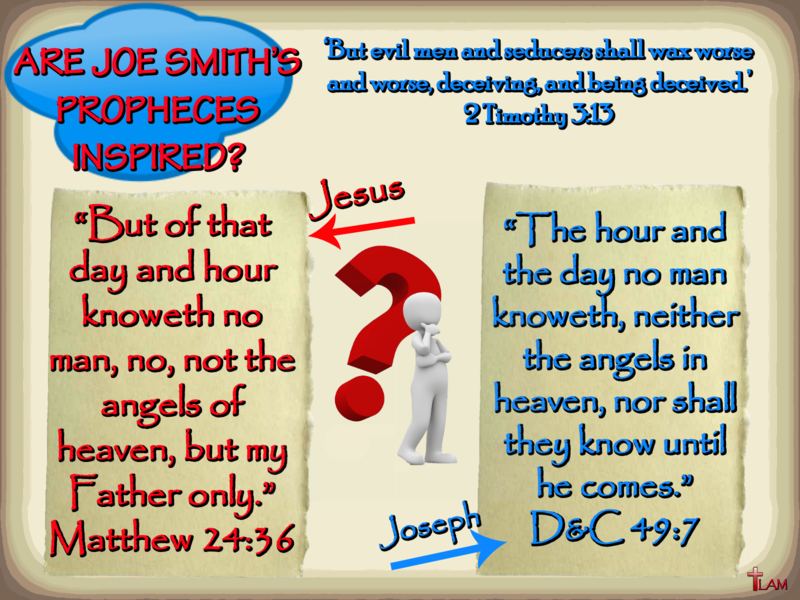 Today we’re comparing a so-called prophecy from Joe Smith’s ‘Doctrine and Covenants’, to God’s infallible word! Are Smith’s plagiarized prophecies inspired of God, or his own invention? 1.Don’t forget to share that Paul told us God’s word is good for teaching! 2.Believing God contradicts Himself with a new gospel would be a hard pill to swallow, not to mention it’d totally trash His credibility. For a list of Bible verses/passages you can share with the Mormon you know, see Bible is Reliable Scripture Database!